If you’ve finally decided to ask the woman you love to marry you, you have some big decisions on your hands. How are you going to propose? Where are you going to propose? And more importantly, what ring are you going to propose with? Choosing between womens wedding bands is a big step, and before you pick one out, it might be helpful to know some common questions that many brides-to-be get asked about their ring. The most common question that engaged brides-to-be get asked about womens wedding bands is: Are those diamonds real? Of course, this is a question that you want your bride to be able to answer with a resounding “Yes!” Your wedding ring is supposed to be something she will wear for the rest of her life, so opting for fake diamonds doesn’t exactly send the right message. 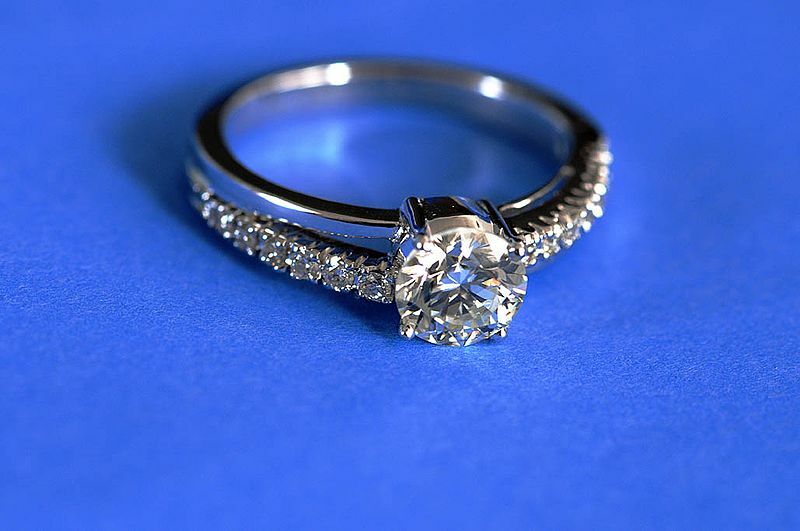 You might think that you can’t afford a real diamond ring, but with the wide selection of engagement and wedding sets at Juno Jewelry, you will be able to easily choose something in your price range. 2. Was it a Surprise? Every relationship is unique, and what works for one engagement won’t necessarily work for another. Some women want their proposal to be a complete surprise, while others prefer to discuss the idea of committing to each other for a lifetime with their partners. If your lady is the latter type, you might want to consider asking for some input on the type of ring she would most cherish. Some couples even pick out the engagement ring together in advance, knowing that he will surprise her by getting down on one knee sometime in the near future. Either option can be very romantic; just make sure you have an idea of what she wants before making any major moves. 3. What Does it Represent? Naturally, all womens wedding bands represent love. However, if you have a unique or interesting story, you might choose a ring that demonstrates that story somehow. For example, three-stone rings are often said to represent past, present and future, and these rings would be good to represent a couple that has come a long way, perhaps first meeting in childhood and then reuniting and falling in love later in life. Whatever design and setting you choose, think about whether or not it could be seen as a metaphor for your love story. That way, whenever she looks down at her finger, she will think about how incredibly lucky she is. If you’re ready to begin looking at womens wedding bands, contact Juno Jewelry today. With over 30 years of experience in the fine jewelry business, we are experts at matching clients with the perfect engagement and wedding sets for their unique love stories. Give us a call or contact us by email. We are excited to hear from you!